The Fiji Airways Men’s National 7s team will play New Caledonia in their quarter final at 12.03pm today in the Oceania 7s. Fiji beat Papua New Guinea 35-0 in their second pool match. Fiji led 14-0 at half time. Filimoni Botitu, Alasio Naduva, Waisea Nacuqu, Apenisa Cakaubalavu and Beniamino Vota scored the tries for Fiji. Coach Gareth Baber believes the team improved from their first game against the Solomon Islands. Baber says he has not seen much of New Caledonia’s games but he will be analyzing their games yesterday. They had earlier beaten Solomon Islands 47-0 in the first game. In the first quarter final, Australia will play Tonga, New Zealand will play PNG in the second while Samoa will play the Cook Islands in the third quarter final. The quarter finals will begin at 11am. 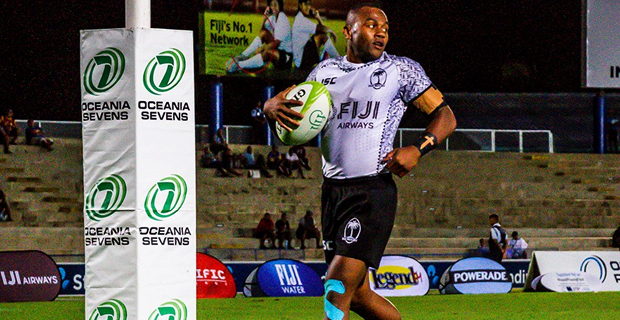 Meanwhile, the Fiji Airways Fijiana will play Australia in the semi-final at 1.27pm while New Zealand will play PNG at 1.06pm.